I had been running my iPad 2 jailbroken for the last few weeks, since soon after the first jailbreak for it became available. Last night I restored it to stock and iOS 4.3.5. I’ve been jailbreaking my iOS devices since way back in the 1.x days of the iPhone OS, but on the iPad in particular I’ve just found myself with less and less temptation to jailbreak. Partly because I find the iPad to be a near-perfect mobile device, partly because iOS has continued to improve and add superb new features, and partly due to the fact that I find fewer and fewer jailbreak apps and tweaks that appeal to me for the iPad. This most recent time round with the iPad 2 jailbroken I installed a couple old favorites and browsed around for more. I tried out a few new and featured apps and tweaks, but honestly nothing really grabbed me. I still absolutely believe that jailbreak is useful and that the jailbreak community is doing great things – often things that later cross over to iOS and the App Store. And I know that there are lots of jailbreakers out there who can still reel off 101 reasons why jailbreak is still fantastic for them – and I have no argument against their reasons. I’ve simply realized that right now I don’t have anywhere near enough reasons to make it worthwhile to me. I am happy to sacrifice the small handful of jailbreak apps and tweaks I still enjoy for the marginally smoother, more stable experience on a stock iPad. And I’m looking forward to iOS 5 and all its slick new features – which I’m sure will leave me with even less desire to jailbreak, at least for a time. Am I swearing off jailbreak for my iPads for good? Not at all. I’ve swapped back and forth between stock and jailbroken over the years and I expect I’ll continue to do that. For those of you have recently jailbroken your iPad 2, how are you liking it? What are some of your biggest reasons for jailbreaking your iPad? I pretty much completely agree. Jailbreaking the iPhone is much more compelling. The only iPad Jailbreaks I really use (other than Winterboard) is SBSettings (which is less useful than on the iPhone, since WiFi and Bluetooth is always on), Lock Info (which is cool, but I rarely ever use it), and Browser changer (which is the only hack I really like). 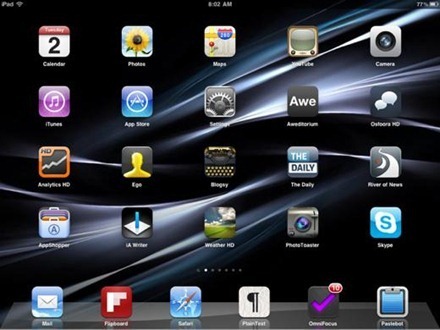 Ipad 2 is my first Apple product, and I had people say wait until you can jailbreak it, it will be awesome. Well, I patiently waited and when JB was relesed I was excited. But, as the weeks have gone by, I am not that impressed. The few useful tweaks I like, I can live without too. There has been nothing overwhelming for me. I’m kind of looking forward to 5.0, and may send JB to the wayside once 5.0 is released. Ironically, I also restored my ipad2 from a recent jailbreak by updating to 4.3.5 last night. I am relatively new to the jailbreak seen and iOS devices. I found very little use for jailbreaking the ipad2, but did not notice any problems or stability issues. The iPod 4th gen however seemed to become slightly sluggish and actually crashed and went into “it safe mode” once. At this point I have no need to jailbreak either device. My only complaint about iOS devices so far, is the lack of flash support. Personally, not a big deal but sometimes certain games or videos you want to play or see that you can’t is annoying. After all this is supposed to be a post pc device, why does it lack some of the most common features of a current pc or Mac? I jailbroke my iPad 2 recently. I think the tweak that has been most useful to me is being able to access toggle via SBSettings by swiping the status bar.my ipadand wireless router don’t get along well, so before I was constantly having to leave an app, go into settings, and turn wifi off then on again – now I can do that without leaving my app! I also really appreciate BrowserChanger. Even after ios5, if safari still can’t download I’ll still be using atomic. Glad to see I’m not the only one who’s not blown away with jailbreaking the iPad. @ Brandy – yeah SBS is always my very first install when I jailbreak the iPad or iPhone. For more than a month I have tried to explain him that JB is not an awsome experience anymore, not a serious reason to change the way of your iOS was meant to be. His reason ( and I am convinced this is a eason for many ) was the acces to piracy, through Install0us. So back to the roots :) A restored iPad. No JB. You do realize, The only thing jail breaking does is give u root access, right? Your article is like saying “bored with freedom, back to the shackles for me”. If you jb and install things that lag or affect your os in a bad way, that’s your fault. Aside from that, there are so many things you cant do without jb. You can’t even open a wifi tether, standard on android devices. You can’t install themes, also standard on android. You can’t enable backgrounding and multitasking, again standard on android. Native “iOS multitaskng” is not real multitasking. So just a difference of opinion I guess. I don’t like limitations. Yes I am aware of what jailbreak is. I’ve been doing it since 1.x days as mentioned above, and working in tech /network management jobs for 15+ years. Again, I’ve not said I feel jailbreak is not worthwhile for anyone, just that it now holds very little interest for me on the iPad. I’m not sure how installing an unstable app is my fault, and as for your list of things I can’t do I don’t need to WiFi tether, and I got over the novelty value of themes (many of which definitely detract from optimal performance of an iOS device) long ago. I would like to see something closer to or flat-out real multitasking on the iPad – but I expect that’s coming as hardware specs improve and I’m more than content with the current quick app switching solution. I was considering jail breaking mine but this thread has given me something to think about, quick question. If u jailbreak an iPad 2 does it give u access to download flash player. Having to chose is killing me. I am new to iPad, so may I ask, how would I know if my iPad 2 is restored from jailbreak? I’ve try to use the jailbreakme.com to JB,so please advise me on what to know and should know. thanks!! I’m not sure I follow your question. Did you buy this iPad from someone who had it jailbroken? If you see the Cydia app on the home screen then it is still jailbroken. If it is running iOS 4.3.5 then it is no longer possible to use the jailbreakme.com jailbreak. Hi, I JB my IP 2 last night after hearing about the benefits & must agree I’m not really impressed so may go back to stock. The main reason I JB my iP was because I mistakenly thought I could save DIRECT to my network/office shares at work once JB, but so far I have found apps that allow you to see browse & open files from my office over VPN but I still cannot save back to the shares once the files have been edited. Rather disappointed. Is this normal? did I just ruin something? You’ve got nothing to lose, jailbreaking your ipad, only more to gain. You can always restore it if you don’t like it. On top of that..free games! I decide to jailbreak my ipod touch, 3rd gen yesterday. Now, the music doesn’t play on it. For all the “cool” things you can probably do on it jailbroken, I would prefer to keep it’s basic function (playing music) unscathed. So, I’ll probably just restore it back to factory. I’m sure it makes more sense to jailbreak iPhones and iPads, but I’m not seeing the big deal in jailbreaking this iPod.